CARDS failed to build on Brett Johnson’s second-minute opener and were forced to share the spoils with Lincoln City. Johnson got Woking off to a flying start, meeting ex-Imp John Nutter’s cross to head home. But Cards didn’t have it all their own way and City got back on terms through Vadaine Oliver in the 25th minute. A share of the points means Woking now only need two more to reach Garry Hill’s magic 50 target. But they’ll have to wait until Wednesday’s game with Mansfield for another bite at the cherry. Former Lincoln skipper Nutter revealed his frustration at full time. Bradley Bubb’s spectacular acrobatic was as close as Woking came to finding a winner but Paul Farman was a match with an equally good save. Good news for the Cards came at the end of the week as Hill secured the services of Billy Knott for a further month from Sunderland. It is hoped that he will be returning to the action soon following a hamstring injury. 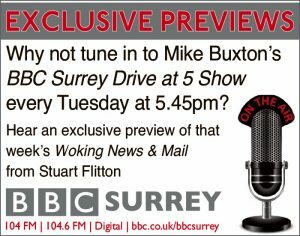 WOKING: Brown, Newton, Cestor, Ricketts, McNerney, Parkinson, Bubb, Betsy, Johnson (McCallum 45mins), Stockley, Nutter. MAGNIFICENT Kevin Betsy had the league leaders looking like a bunch of plonkers as wonderful Woking tarred Newport’s unblemished Rodney Parade record. The table-topping Exiles have been untouchable at home this season, racking up five wins and two draws from their opening seven games – conceding just two in a formidable start to their title push. But their unbeaten record came to an unexpected end as the brilliant Betsy gave them a battering. The veteran winger struck twice inside 16 minutes before Andy Sandell curled in for Newport bang on half time. Bradley Bubb came off the bench to nab a precious third after 69 minutes. But there was still time for more drama as Michael Flynn headed home in the 88th minute. After hanging on to secure a rare away win, Betsy beamed: “It was a tremendous team performance. “We were all disappointed with the performance and result last week but we dusted ourselves down and came out fighting. “We are a good side on our day and we’ve got to put in these kinds of performances on a more consistent basis. “If we cut out the errors and are more clinical when we are attacking then we can do OK in this division. GARRY HILL locked his Woking players in the dressing room at full-time as he and Steve Thompson ruthlessly dissected Cards’ worst-ever performance under their stewardship. Hill blew his top as goals from Andy Parry and Chris Lynch, plus Chris Lever’s late penalty, gave Southport all three points at Kingfield. Cards had led through Kevin Betsy and, despite allowing the visitors to level before half-time, looked to be on course for back-to-back home wins after Liam Willis was sent off. But the 10-men took the lead before Gavin McCallum hit back with just over quarter of an hour to play. Again it appeared as if Woking would go on to win but Brett Johnson’s horrific error allowed Darren Stephenson to race through on goal. Joe McNerney tried to make up the ground but was sent off after bringing down the forward in the area. Lever converted the 82nd-minute spot-kick to leave Hill blind with rage. Hill stormed: “Collectively they haven’t done their jobs and the players know that more than anybody. “There are no excuses. You lose together and you win together in football, you stand up and be counted together and we’ve not done enough – no complaints no excuses. 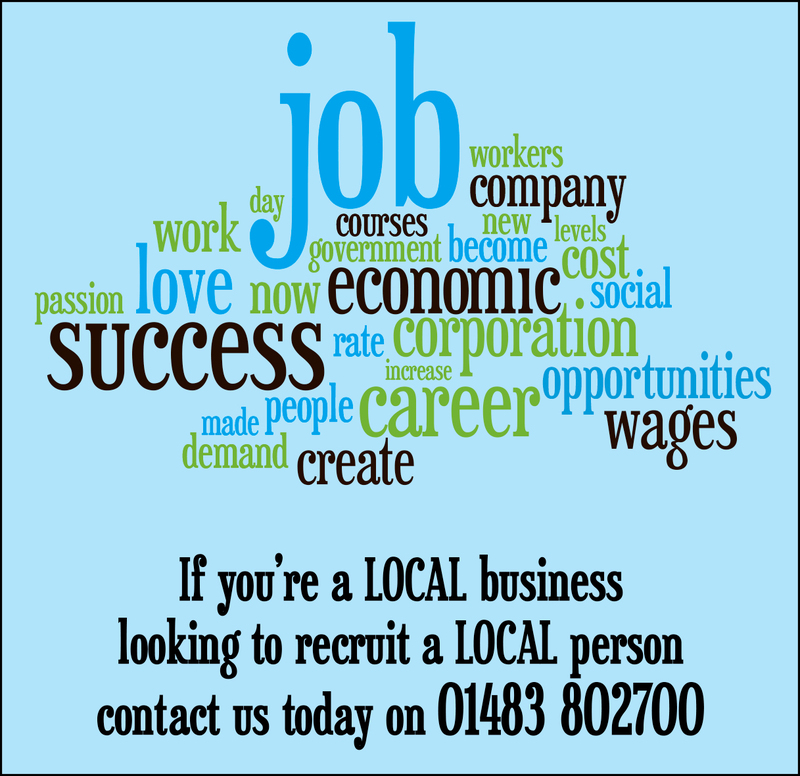 “I’m very disappointed – the players have let themselves down and they’ve let the club down. “You can’t be 1-0 up after 15 minutes and then turn around and think ‘job done’. 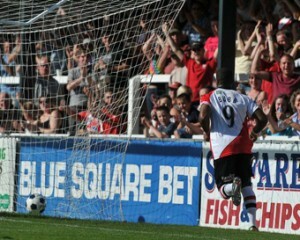 Dean Sinclair almost scored his first Woking goal but his 20-yard effort sailed over the bar after five minutes. Cards did not have to wait long for the opener and after a confident start it was Betsy who came up trumps to capitalise on his opponents’ lack of attacking endeavor with the opener on 11 minutes. In trademark fashion he skipped past three challenges down the right before clipping a cross into the area. On the slick turf, the delivery avoided everyone before finding its way to McCallum on the left wing. With a shimmy and measured square ball, McCallum found Betsy in the box and the forward had all the time in the world to sidefoot the game’s first goal past Tony McMillan. And the Cards should have extended their lead but failed to apply the finish to a couple of tantalising crosses from Betsy and Lee Sawyer. Southport’s leveller five minutes before the break came from nothing. Russell Benjamin was allowed to squirm his way round Jack Parkinson on the edge of the area and roll off for Parry to drill past Sam Beasant. Parkinson almost made amends for his soft piece of defending with a fierce left-foot drive that flew just wide, but the sides went in 1-1 at the interval. Cards were slow out of the blocks in the second half but received a huge slice of good fortune when Southport were reduced to 10. Betsy used all his experience to draw a foul from Willis who harshly received a second yellow after clattering into Mark Ricketts in the first half. With Southport fighting an uphill battle and the 10 men there for the taking Cards were dealt an instant sucker punch. Shaun Whalley’s near post corner could only be helped on by Mike Cestor and arriving at the back post was Lynch to volley in from close range. A fantastic spin and snap shot from sub Loick Pires drew a good save from McMillan but the Cards struggled to settle into any rhythm against their depleted opponents. Cards’ second goal was very similar to Southport’s first – a bolt from the blue in an otherwise lifeless second-half display. 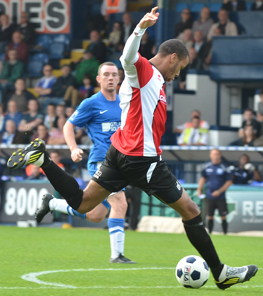 A short corner allowed Bradley Bubb to smash a shot towards goal. The strike hit a body and fell kindly to McCallum who, much like he did against Tamworth, fired off an effort that was hacked away from the goalmouth. This time round the officials ruled in his favour and Woking were all square with 16 minutes to play. But their hard work was undone eight minutes from the death when Johnson’s dreadful mistake allowed Stephenson to race through. McNerney did his best to get across to make a challenge but the defender used too much force and bundled the Southport player to the ground. McNerney was sent off and Lever coolly converted the resulting spot-kick in what Hill described as a real low point in his Woking career. GARRY HILL admits he had almost forgotten what it was like to watch his side score first in a football match. 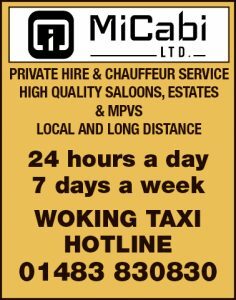 Woking have made an impressive start to life back in the Blue Square Premier but have only scored first in four games prior to Cambridge United’s ­arrival at Kingfield on Tuesday. So it was a refreshing change to see Bradley Bubb and Kevin Betsy put the Cards in the driving seat with a goal either side of half-time. And despite a late barrage from the U’s, kick started by Robbie Wilmott’s powerful header, Hill’s battlers held on to pick up their sixth win of the season. “It was nice to be in front,” said Hill in a brutal examination of his team’s previous displays. “We’re not used to that and we were a bit shell shocked. “I knew there would be chances for both teams and it certainly was never going to be 0-0. “We got the important first goal and that seemed to settle us down a bit and at 2-0 we fancied ourselves to go on and win the game. “But all credit to Cambridge. They worked very hard and got a goal back from a set-play and in the last 20 ­minutes they have put us under ­immense pressure. The Cards dominated the opening quarter of an hour with Betsy and Lee Sawyer working feverishly in the middle of the park to keep Cambridge on the back foot. And it was no surprise that Cambridge’sJonathan Hedge was the busier of the two keepers in the opneing stages. Jack Parkinson was first to test Hedge with a ­swerving drive which the keeper pushed away for a corner. Michael Gash flashed a low shot just wide of the post in reply. But it proved nothing more than a light reposte as Hill’s men took the lead in the 19th minute. Betsy weaved his magic in the penalty area to reach the byline and clip a cross to the back post to Bubb, who clinically pounced to head home the opener. And Cards’ leading scorer had a glorious chance to bag his second of the night in the 27th minute. But he completely mis-judged ­Gavin McCallum’s cross and somehow managed to get the ball stuck under his feet with the goal gaping. Goalkeeper Sam Beasant, son of former Wimbledon and Chelsea No.1 Dave, was handed his full Woking debut in place of the suspended Aaron Howe. And the 24-year-old showed no lack of confidence when, after a couple of early catches, he coolly Cruyff-turned Robbie Wilmott as the Cambridge man closed down a clearance. Cambridge almost caught Beasant out when Tom Elliott capitalised on the keeper’s rash decision to leave his area. But Woking were indebted to the youngster when he got his outstretched fingertips to Rossi Jarvis’ deflected strike from the edge of the area. Cards looked electric on the counter and always looked the most likely to grab the game’s second goal. But as half-time loomed and the first shreds of anxiety began to surface the visitors had the chance to even things up, only for Rory McAuley to head Daniel Andrew’s in-swinging corner wide. Cards thought they had steadied the ship when Betsy slid a shot under Hedge on the hour. New loan star Billy Knott, who only signed from Premier League ­giants Sunderland hours before kick off, slipped past Cambridge full-back Josh Coulson and pulled the ball back for Betsy to apply the finishing touch. But five minutes after giving themselves a two-goal cushion Woking threatened to implode. The lead was cut in the 65th minute when Wilmott was allowed to escape at the near post to thunder in Andrew’s corner. And Woking were dealt a major blow when lively debutant Knott ­hobbled off with what initially looked to be quite a serious injury. 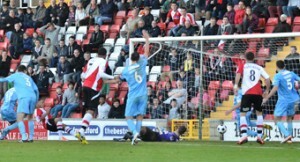 Deflated by the loss of midfielder Knott, Woking retreated on to the back foot as Cambridge sought an equaliser. Sub Ricky Wellard thought he had earend the visitors a point when his deflected effort hit the post and ricocheted off the back of the Woking keeper ­before dribbling out for a corner. Beasant added to his side’s apprehension when he spilled two teasing crosses in quick succession. But Cards survived the onslaught to secure their first win in four and climb up to 10th ahead of Saturday’s meeting with Southport. WOKING were held to their first draw of the season after failing to capitalise on a dominant 45 minutes of football at Stonebridge Road. It was a major disappointment for the Cards who had recovered from the early setback of falling behind to Joe Howe’s piledriver to lead at the break through Jack ­Parkinson and Brett ­Johnson strikes. But that hard work was undone 15 minutes from time when Fleet snatched a share of the spoils through Phil Walsh’s headed effort from Ben ­Greenhalgh’s corner. Boss Garry Hill admitted his players were guilty of switching off in a sub-par second-half. He said: “We didn’t play at all after the break – it feels like a defeat and I’m very disappointed. “We were cruising at half-time and against a very average side we were cruising. “We could have wrapped the game up and if we had found a third goal the game would have been over. “We gave the ball away far too cheaply, lacked discipline, invited pressure and as a result they grew in confidence as the game went on. “Ten points from the last 12 is a good run and we haven’t been beaten but this feels like a loss. And there was further woe for Hill who will be without Lee Sawyer after the midfield ace picked up his fifth booking of the season. The manager raged: “It doesn’t help when you are working with such a small squad to see your players needlessly suspended. For full match report and reaction pick up your Woking News & Mail today.